I cannot believe how long it took me to think of something. Now that I have though, I can come up with a bunch of different examples. The kitchen is once again going to be the example location. I also have pictures to show for the beginning. I will explain later on why I do not have after pictures yet. This bottom cabinet has worked well for me. Now, Missy is crawling and while she cannot reach the knobs on these door yet. I eventually will want to unlock the doors. As much as I plan on teaching her the safety of small appliances. I do not want to tempt her having them in immediate reach (at any small child age). These need to be moved. In this top corner cabinet is serving dishes. Put up top because its a large cabinet for things like platters. A way from little hands too. I use my serving dishes proudly. 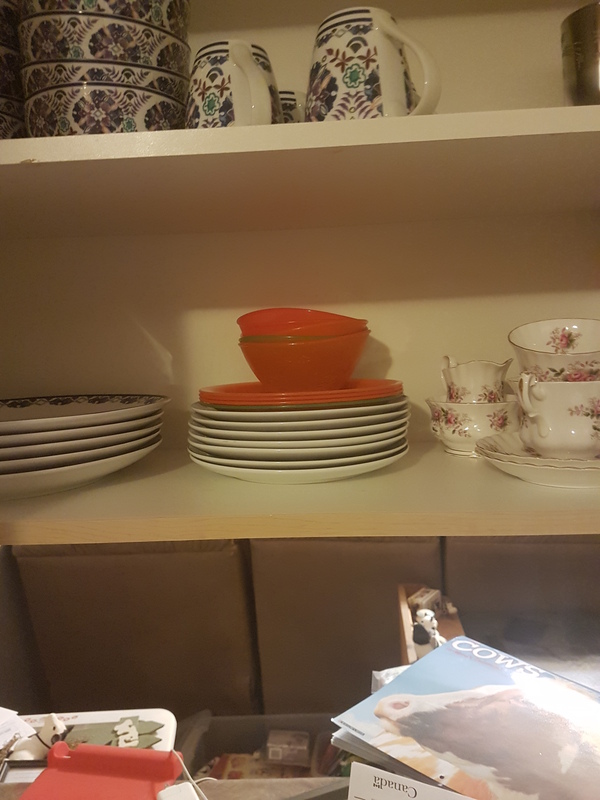 At least half of it is from my china set. If I did not use it, it would be in the box with the rest of the set. This bottom cabinet does not have a lock. The reason for this is because it is Missy’s cabinet. Stuff I am not worried about her playing with or breaking. Well clearly, there is stuff in there that needs to be moved. 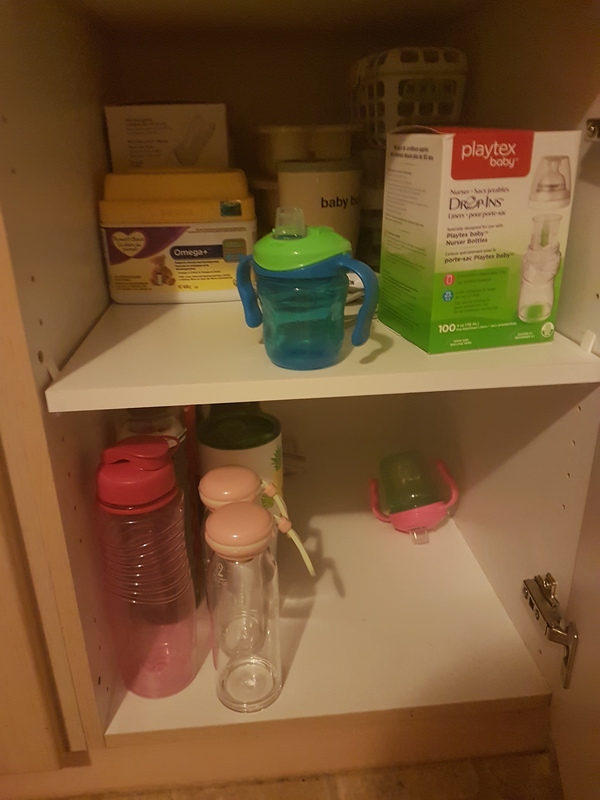 The baby bullet cannot stay in there and there are glass water bottles in there. These are kind of heavy so I should move them or she might break a toe if she dropped one. 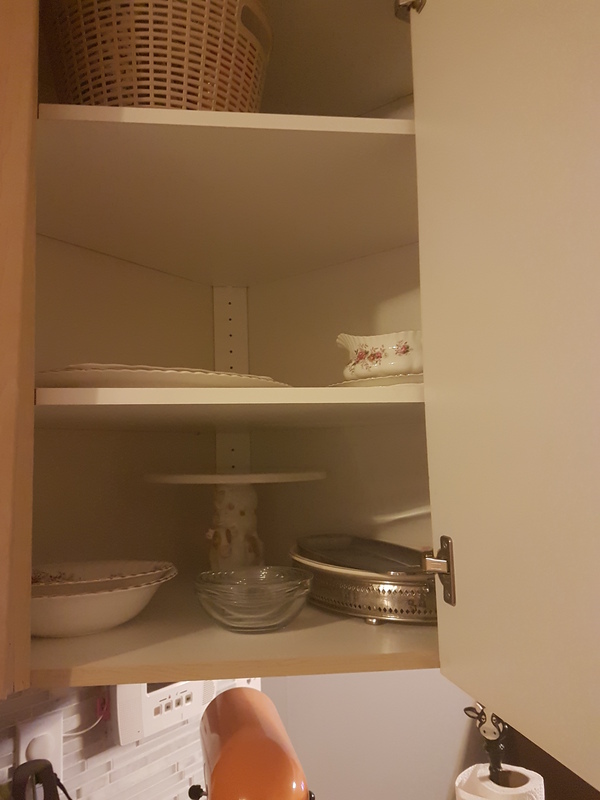 This one is just because I want to move her dishes to her cabinet. There is no reason for everything to be off limits and she cannot break them. Now the reason why I do not have after pictures. 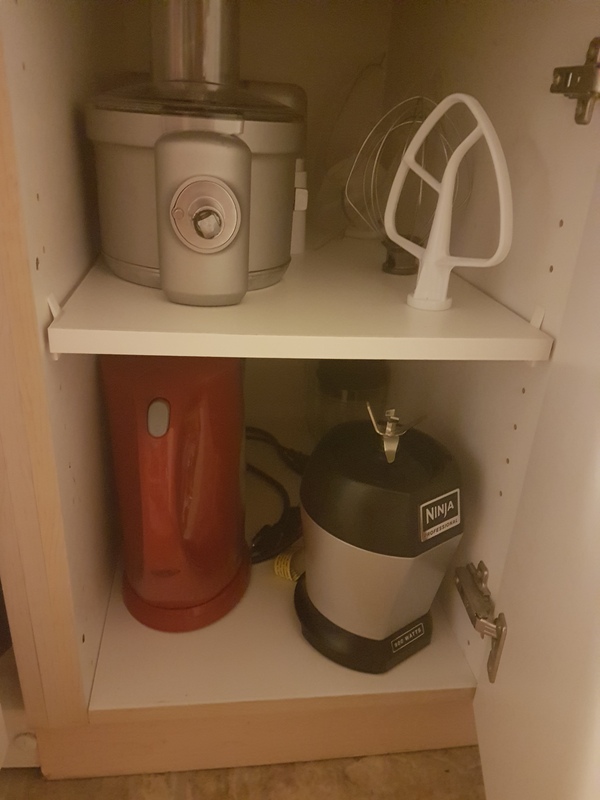 Up until recently I did not have a space that I could move the small appliances to. Somewhere that I am able to access with out a lot of extra effort. It might make me sound lazy but lets be realistic. If it takes to much work to put a way. One of two things will happen. The first being it will take work to retrieve as well and I just will not use it anymore. Or the second would be I use and do not put it away. Neither one of those cases is appealing to me. I have a solution now. 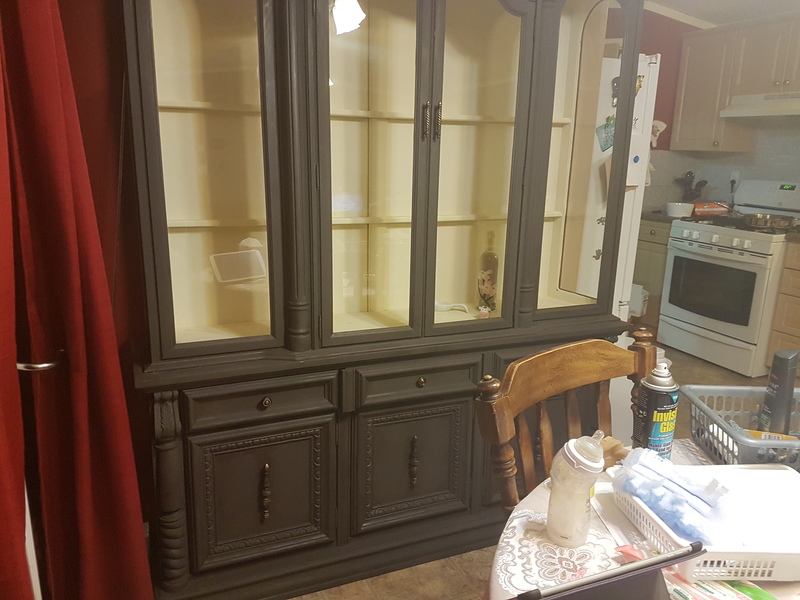 I came across a used buffet and hutch. Honestly I did not buy it to make the kitchen a safer place for Missy but my cows need a new home ha-ha. I only just thought of this solution. So the reason I do not have after pictures is because I am getting a new glass shelf cut. When I went to view the hutch one of the shelves somehow got busted. Not a big deal. There will be a whole post dedicated to it since it is pretty much my entire dinning room. Moving the content of these cabinets should be my next post in this series. That does depend on how long it takes for me to have the new shelf cut.